MEG DEGONIA /The Journal “Buh Bye, Rupert,” a play written by Clifton Wilder Koons II and directed by Paige Andrews-Johnson is one of 5 plays featured in Surfacing’s spring production. 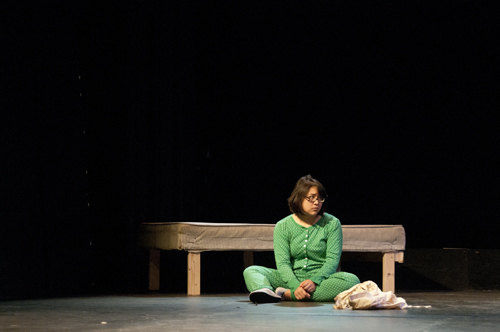 Featured is Senior Ashley Lam who plays a girl named Shelly struggling to cope with the death of her baby brother Rupert. Surfacing’s Annual One-Act Plays Festival is a free event that has showtimes of Friday the 29th and Saturday the 30th at 8 p.m. at Stage 3 at Winifred Moore Auditorium.